This young woman is a force. Beautifully stated by Greta. This “young woman” is intelligent and well educated on climate change, but it’s her display of certain Asperger’s symptoms (the best ones) that makes her so powerful—-the “seeing things in black and white” and the extreme focus on the topic are key to her power. Unlike many with Asperger’s, she appears to be able to communicate fairly easily. I taught HS Sophomores like Greta in biology, and dealt with many thousands more as a school administrator. Have only met a handful of kids or adults with Asperger’s and have one adult friend with Asperger’s now—-IMO, Greta is one of a kind. PS Since Greta is not from one of those s**thole countries, but comes from Sweden (which is right next to favored Norway), and is quite “white” (pink actually), maybe we could convince her to come to the USA without Trump denying her entry—-offer a scholarship to some prestigious school? Then we could put her on the stage with AOC and Elizabeth Warren and really rock the Trumpies. (As long as she didn’t come in from the south, they couldn’t label her an ecoterrorist, either). She went from Stockholm to Davos by train. Took her 65 hours. Well. 65 hours return to be precise. Much less cramped than a commercial jet, I suppose, and a lot of time to read (one major advantage of commuter rail, as I recall). A good commentary on “Davos Men”. Well done to the spokes-girl Greta for putting the case of her generation forward, so precisely. At the other end of the scale almost 93 year old David Attenborough did the older generation proud. 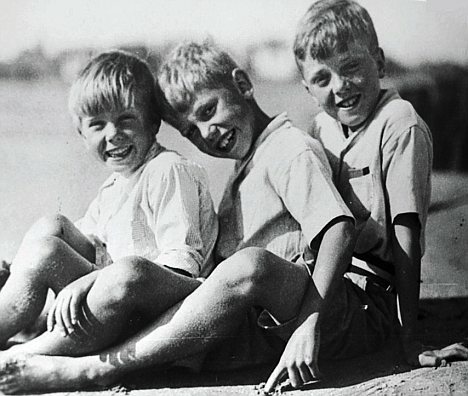 I grew up in the same town as the three Attenborough brothers, who are all held in high esteem there, and applaud his continued wisdom, energy and vigor. He advises that we move on from blame and guilt and forgive . .
“We need to move beyond guilt or blame and get on with the practical tasks at hand. I’m sure that the Coal/Oil/Gas/Petroleum companies would appreciate that too, and I would think it good advice if only the said companies actively and massively joined the effort to support replacement energy technologies, while completely stopping expansion of fossil fuel projects. Although a few are nodding in that direction I’m not too sure how genuine they are. Not so easy to forgive and forget. Greta’s home country now joins a growing list of countries committing to a ban on ICE vehicle sales, joining Norway, Denmark, Israel, France, UK, Ireland, Spain and Germany among others. I hope more nations will take the important step and ban further oil exploration too. Then we can start relaxing just a smidgen. “OSOF welcomes the news that Prime Minister Jacinda Ardern has announced a ban on future offshore oil and gas exploration in New Zealand. By banning future oil exploration, New Zealand has stood up to the powerful fossil fuel industry by denying all new offshore oil and gas permits. Plenty of opposition to the announcement in the conservative press, and whether the ban holds if the government changes remains to be seen. Yep, and even a tiny country that doesn’t buy even 400,000 new cars a year can have a big impact. Maybe I’m wandering off topic, but this sad news attached below is why, Greta, David, Jacinda Al and Prince William have spoken about tackling Climate Change at the opportunity given in Davos. A graphical reminder of dangerous extremes in climate. It cetainly hit me hard..
A real shame, and animals in AUS are going to pay the price—the one that hits me hard is the dilemma of the flying foxes. It spoke well for Aussies when they went out and rescued thousands of flying fox pups who would have starved after their mothers fell dead from the skies.